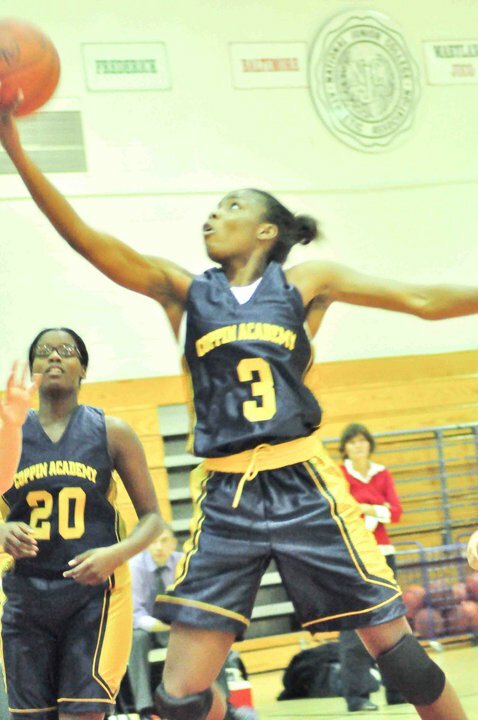 Dejhonae Cannady spent the last four years trying to put Coppin Academy basketball on the map. She put up huge numbers at the charter school and went over 1,000 career points in her junior year. She recently chose to attend Chesapeake College, where she will get back on track and then decide which one of the D1 schools she will finish her career with. In the two senior all star events she played in, she stood out both times with stellar play. Read her interview below. 695: What made you choose Chesapeake? Dejhonae: I picked Chesapeake because it's not too far from home but it's not too close. I felt really comfortable with the team when I visited and I could tell they wanted me to come there. I felt at home and Chesapeake was the best team in the state in their conference. I also feel that the school will help me with where I want to go academically and basketball wise. Dejhonae: I was 12 when I started playing. Dejhonae: I grew up on the east side and I live in Park Heights now. Dejhonae: My favorite player is Candace Parker. I really admire her. Dejhonae: I have R&B and movies on my Ipod. 695: What is you favorite all-time movie? 695: Wow, every player says that. 695: How did you end up choosing Coppin Academy for high school? Dejhonae: I chose Coppin Academy because of their academics. Its very fun being on a college campus. You get to do more than a regular high school does. 695: Is it fun being on a college campus for high school? Dejhonae: Yes, it is. More options. Dejhonae: One of my funniest road trips is when the whole Starz organization went to Ocean City. We played a game and came back to the hotel and ate and ran around playing games. We had so much fun. 695: What are your goals for this high school season? Dejhonae: My goal is to get my team to the championship and win it. 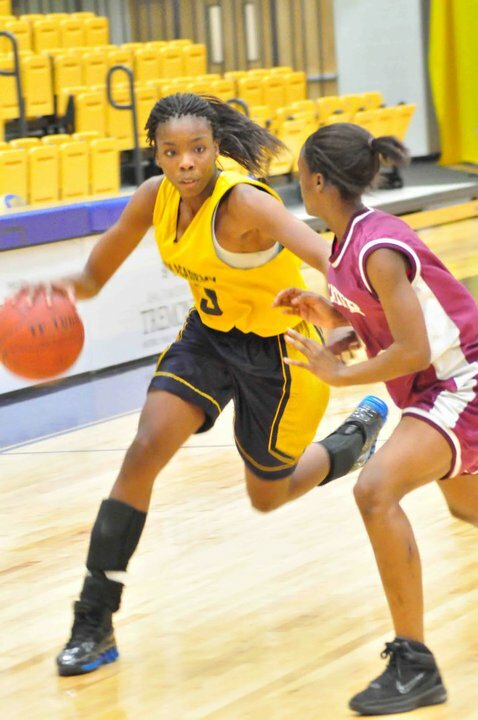 I love my Coppin Lady Eagles.